It only takes minutes to connect all your Xero companies and nearly any other data source. Build beautiful, interactive dashboards for web and mobile devices or flexible reports with a live integration into Excel. Profit from the most comprehensive planning/simulation features and control over your data. The Acterys Connector generates and maintains a professional “one version of the truth” data model optimized for reporting and analytics based on the transactions in one or more accounting systems. No more copy and paste spreadsheet chaos. All data from all your companies is easily accessible from a wide variety of front end solutions in a structured format. Using the ACTERYS Excel-Add in you can created reports and dashboards exactly as you need them with a live link to the “one version of the truth” Acterys model. 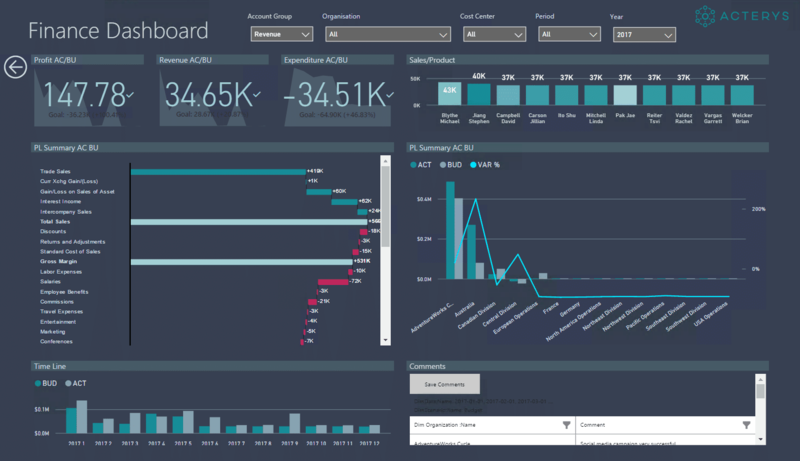 The Acterys Connector enables you to design interactive dashboards using the market leading discovery tools (Power BI, Tableau) in minutes. These can include not just your accounting data but also any other relevant source for your organization. The ACTERYS Connector enables you to create consolidated results for as many legal entities -even from different accounting systems- as you like with a click. QuickBooks is easy to use online accounting software that’s designed speciﬁcally for small businesses. 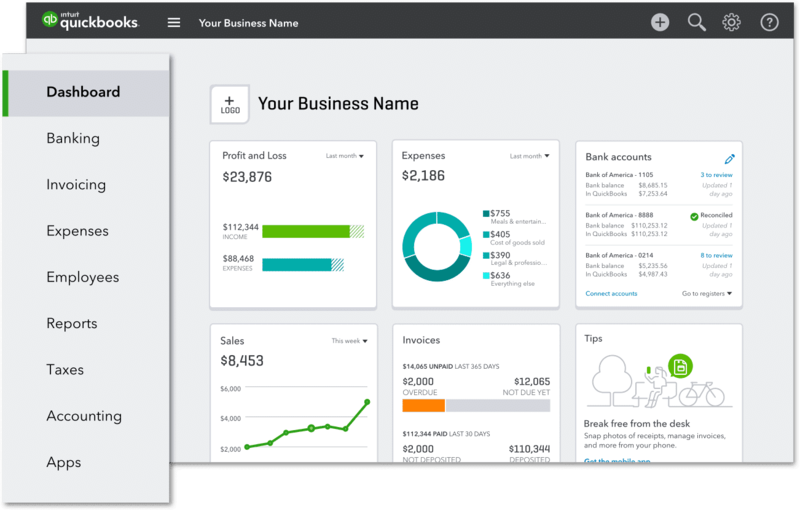 QuickBooks has all you need to run your business — including invoicing, paying bills, sales tax returns, reporting & more. Find out more or Try Intuit QuickBooks Accounting Software for free. Click on “Connect to QuickBooks” to link your QuickBooks company ﬁle with ACTERYS. This process will create cloud-based relational (based on MS SQL Server) and a multi-dimensional data model with your data. Linking the accounts should only take a few minutes . For larger models, this can take longer. Once it is ﬁnished you will receive a notiﬁcation at the email address you have speciﬁed with your account.